You don’t need Urban Travel Blog to tell you about the Brandenburg Gate, Checkpoint Charlie and the East Side Gallery (although if you do, head here! )… so how about some of the city’s lesser-known, funky and offbeat treasures? Our Secret Seven series introduces travellers to seven original ideas for things to see and do in any given city, and in a town as beautifully barmy as Berlin thankfully that is pretty easy. We may even have to come back with an additional Secret Seven soon! In the meantime enjoy these suggestions, and – if you’re something of an expert yourself – let us know yours in the comments section. 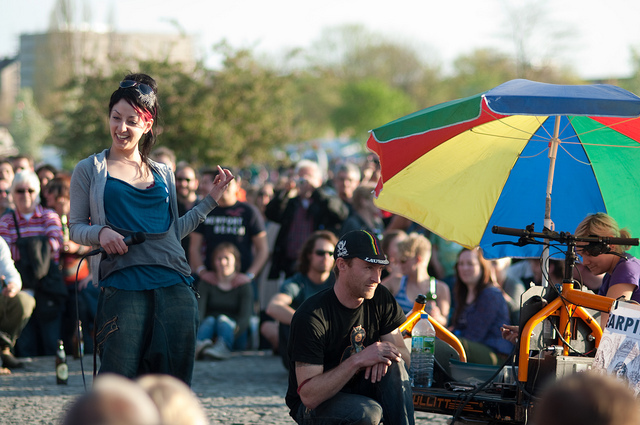 Each and every Sunday, the Prenzlauer Berg park, which used to be part of the death strip of the Berlin Wall, turns into a makeshift festival celebrating the alternative cultures of Berlin. Mauerpark‘s flea market has been a Berlin institution for more than a decade, but the real eccentricity takes place at the amphitheatre, where people from all corners of Berlin take part in some open air karaoke. A real-life version of the X-Factor, the brilliant acts receive uproarious cheer, while the not-so-good songsters fall victim to some good-natured booing. It’s a hipster hangout and a place where anything goes — nothing is more ‘Berliner’ than that. A little al fresco karaoke is a Berliner tradition. Photo by Sfreimark. If you’re looking for a place to stay in Berlin, nowhere embodies the capital’s quirkiness more than Hüttenpalast in Neukölln. Here you’ll discover that a random assortment of caravans and wooden huts have invaded an old vacuum cleaner factory, giving a sunny indoor camping feeling, whatever the weather. 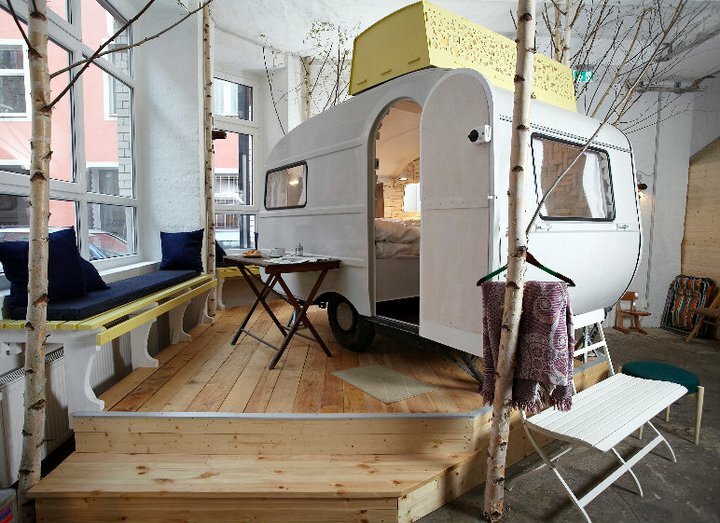 ‘Puck’, the 1950s caravan, was rebuilt almost from scratch and has a retro air, while the grand Alter Palast was built from wood salvaged from a century-old room in the former factory. Even if you don’t need a caravan for the night, the café at the front does killer breakfasts and lunches and has a tucked-away neighbourhood vibe. A café unlike any other in Berlin is the Tadschikische Teestube, hidden away in a room in the Palais am Festungsgraben, a palace that housed the Prussian finance ministry in the eighteenth century. The tearoom was originally a Tajikistan pavilion at a trade fair in Leipzig in the 1970s, donated afterwards by the Soviet Republic of Tajikistan to the East Germans. The décor was later moved to the room in the palace and turned into a traditional tearoom. Steeped in history and culture, it’s the place to go to drink delicate teas and eat Russian cuisine, and generally hide away from the world for a while on the cosy floor cushions. Home to legendary techno nightclub, Tresor, is Kraftwerk Berlin: an abandoned power plant that has been transformed into a stark, intrinsically industrial and massively impressive venue. 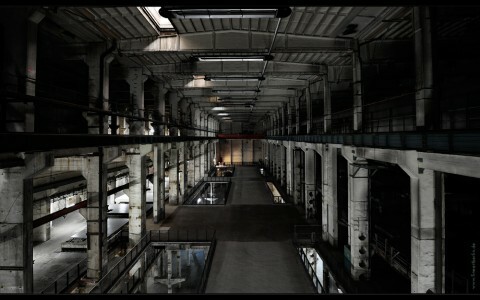 Tresor was originally created soon after the Berlin Wall fell by techno-legend Dimitri Hegemann on a location where the wall once stood, but after the land was sold to a bank, Hegemann found a new home for Tresor in Kraftwerk Berlin. Inside, poured concrete and metal catwalks seem to go on for miles and as well as the nightclub, Kraftwerk Berlin also plays host to art installations, specialist events and gigs. Most Berliners are familiar with seeing the hulking building and smokestacks of Kraftwerk on the Berlin skyline, but being inside gives a whole new perspective on industrial architecture and the creative projects such structures play host to in modern day Berlin. Check their website for a full programme of events, or plan a night out at Tresor. Kraftwerk the building, not the band. If you haven’t had a chance to do any sightseeing whatsoever yet, then getting in the saddle is one of the best ways to take in the centre of Berlin, and a great alternative to exploring on foot. The city is massive – the district of Mitte is 40km square in area just by itself – so hiking between sights can be time consuming, and being on two wheels will allow you to cover a lot more ground. If you’re familiar with the city already you might prefer to rent wheels and be independent, although for newcomers I’d recommend taking a guided tour with Berlin on Bike, which has amazing ratings and reviews on GetYourGuide. In the company of an expert local guide, you’ll visit the must-see sights of the Berlin Wall, the Holocaust Memorial, Reichstag and Museum Island, as well as discover a few more obscure treasures, like Kulturbrauerei, a charismatic old brewery in the trendy Prenzlauer Berg district. Most people have heard of Tempelhofer Flughafen, Berlin’s recently abandoned airport that has since been transformed into the most popular park in the city. Lesser known, and in the far less trendy neighbourhood of Lichtenberg, is Landschaftspark Herzberge. 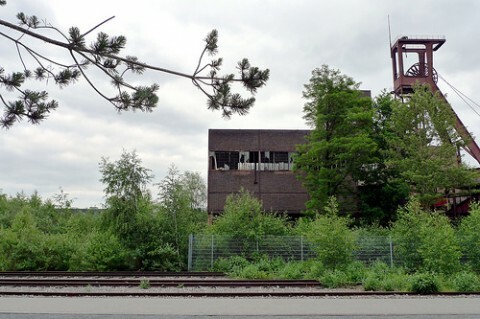 This abandoned wasteland is a true example of Berlin reinvention, as it is gradually being transformed into a green idyll for the local community. Think grazing sheep, trails for hikers and bikers, and a genuinely rural escape in the city. Nature is slowly taking back over at Landschaftspark. Photo by zoetnet. The most unusual and hidden museum in Berlin has to be Museumswohnung, a GDR apartment in a Hellersdorf tower block which has been left completely unrenovated since Communist times. When the high rises were being redeveloped a decade ago, a building association decided to keep one apartment untouched, and the result is an evocative piece of history. The museum is only open on Sundays (call ahead for private viewings on another day) and you’ll be shown around by a resident from the building, who will tell you about life in East Germany. It’s a nostalgic and informal museum experience; you’re even allowed to have a poke around in the cupboards if you want. 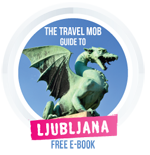 (If you’ve ever done the famous Crazy Guides Communist tour in Krakow then you might have an idea of what to expect!). A city of entrepreneurship and creativity, Berlin — also known as ‘Silicon Allee’ — is the place where people flock to start up new ventures. Even Hollywood hot shots like Ashton Kutcher are involved in the scene, investing in start-ups including Soundcloud and Gidsy. If you fancy yourself as the next Mark Zuckerberg, or just want to be part of the start-up landscape for a weekend, book a place on Startup Camp Berlin. A bootcamp for the mind rather than body, the event takes place every March and involves a series of seminars and interactions with more than 80 entrepreneurs. You may even have created a business plan for The Next Big Thing by the end of it. For those who’d prefer to dip a toe rather than take a deep-end plunge into Berlin’s start-up culture, check out one of the city’s many co-working spaces: betahaus in Kreuzberg for example hosts a wide range of networking and skill-sharing events on a monthly basis. For a tour that reveals many of the hidden secrets of the capital, check this guided walk by Urban Adventures. You’ll discover lesser know attractions such as the Palace of Tears, Humboldt University and New Synagogue, and learn about the city’s storied history from the infamous “burning of the books” in 1933, through to Nazi Germany and of course the Cold War, when the capital was divided. You’ll also be taken to one of the oldest bakeries in the city to sample a ‘Berliner’, a traditional German doughnut-esque delicacy – and culprit of that JFK controversy. You haven’t understood Berlin, until you’ve got under the skin of its world famous street art scene. This 4.5-hour experience starts with a tour of the backstreets where you’ll get a close up view of inspiring works by some of the city’s most creative artists, along with the origins, history and legends behind many of the pieces. After which your guides – who are street artists themselves – will put on special a workshop in an abandoned factory complex, teaching you how to work with stencils and paste-ups and other techniques. Afterwards you can apply what you’ve learned directly to the walls of the factory, or make your own stencils and take-home pieces of urban art, for the ultimate souvenir. More of Sasha’s insider knowledge of Berlin can be found in Carl Goes Berlin, the new city guide for creative and curious people, authored by Sasha herself. And if you’ve already booked your flights to the German capital be sure to check our “Long Weekend” city guide for plenty more tips. We also have the lowdown on Berlin’s Kreuzberg district and the capital’s famous urban beaches, amongst other great stories, so put these on your reading list. To plan and book more activities, we suggest you check out everything Berlin has to offer here. Meanwhile for more Secret Seven posts, check out our list of cool things to do in London, or our favourite hidden spots in NYC, or our secret tips to Sydney! And p.s. don’t forget to subscribe to our newsletter to receive occasional updates of what we’ve been up to. Really enjoyed this blog post – I’ve posted (perhaps slightly more mainstream..!) my Top 10 Things to do in Berlin. I’d really welcome your thoughts! We enjoyed your list too, a good refresher on the major attractions! Cheers for now, D.